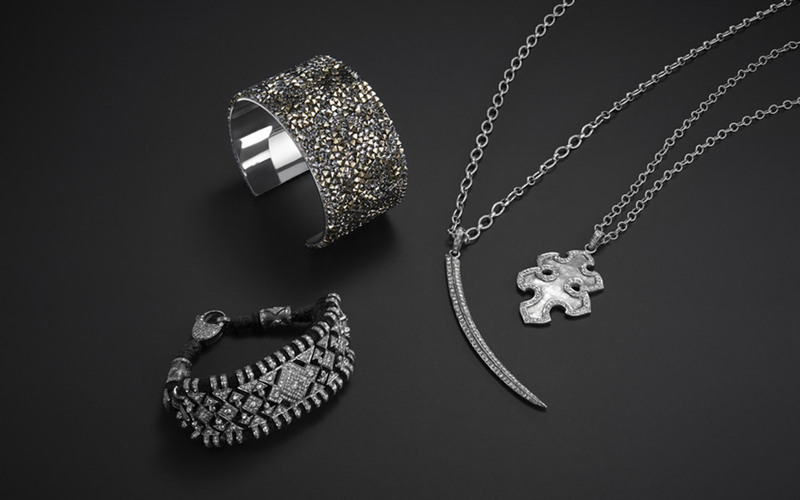 ASH + AMES is an accessible luxury jewelry brand with a cause – sales of their unique pieces directly benefit underprivileged women across the world. 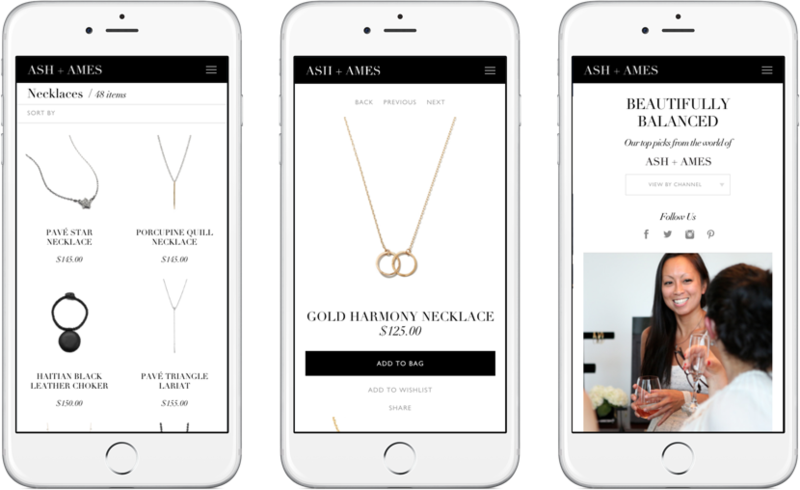 The brand founders came to King & Partners looking for a way to let their customers enjoy a luxurious online shopping experience, while remaining loyal to their local ASH + AMES Ambassador. King & Partners created a sophisticated Multi Level Marketing system that provides customers with the ability to assign sales to their ASH + AMES Ambassador in checkout. Powered by the Sellect platform’s sophisticated MultiLevel module, Ambassadors can review all orders assigned to their profile in the Admin, and Admin users can search orders by Ambassador, and review Ambassador orders in sales reports. This fully flexible site immerses the user in rich photography and video, created by King & Partners to align with the brand vision. 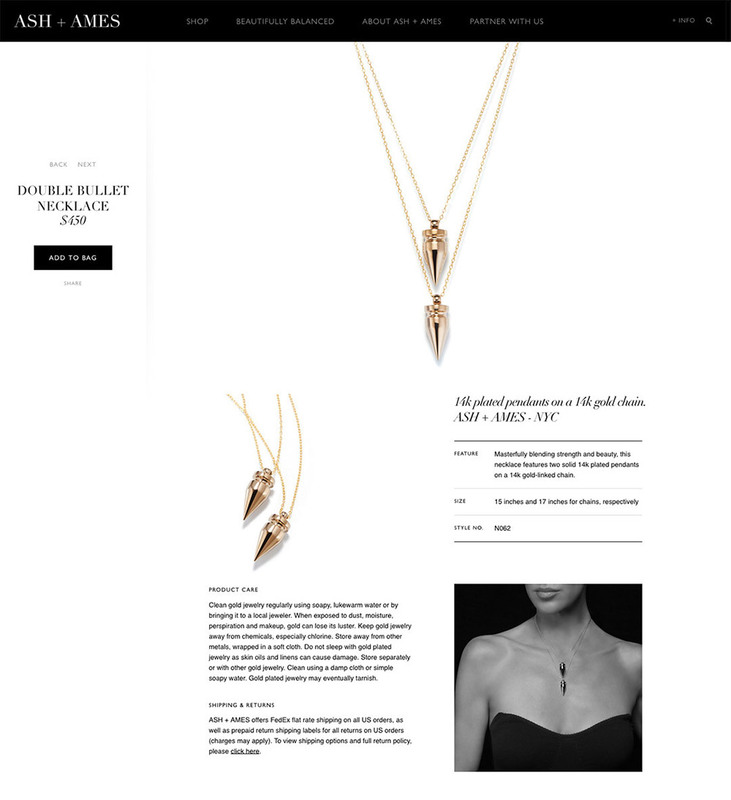 The result is a sumptuous site that responds to your touch as you scroll through, inspiring feelings of delight and desire. 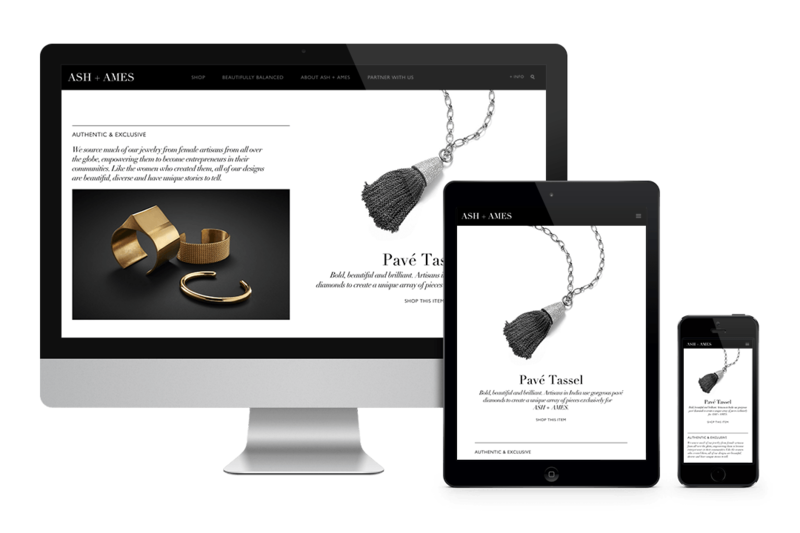 The site drives sales through gorgeous imagery, a smooth user experience, and clear product details. Product pages detail care, sizing, and features, getting users as close to the product as they can without actually touching it. The digital experience renders perfectly across all devices. 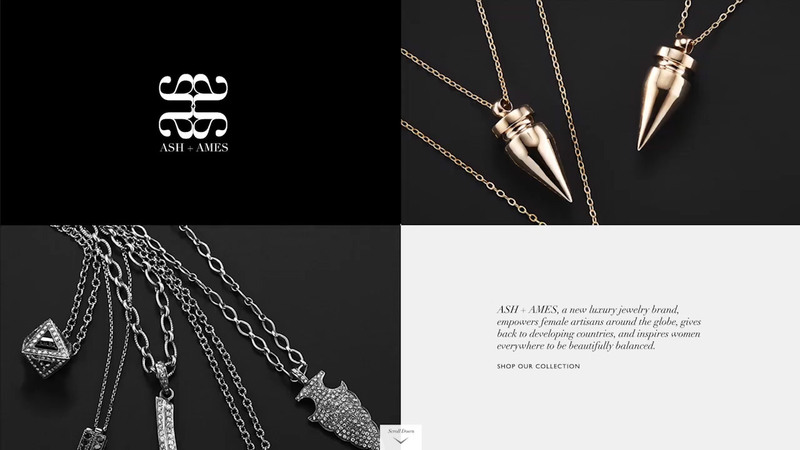 ASH + AMES is about creating an accessible luxe brand while reinventing the direct selling model. 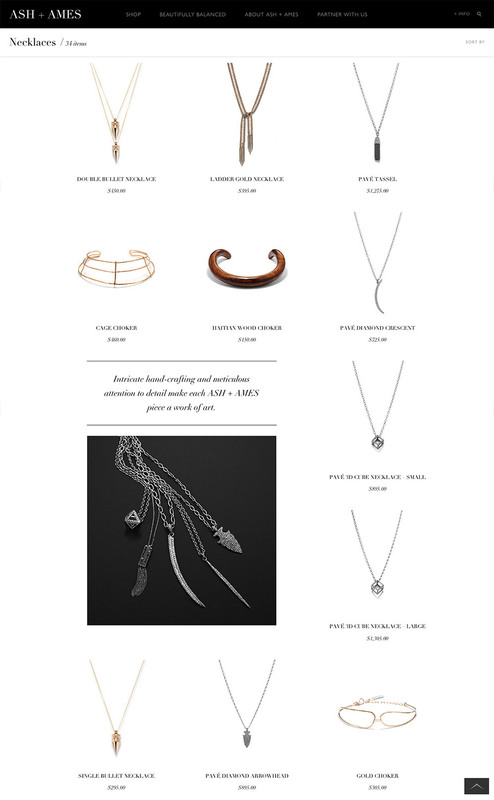 We wanted our aesthetic to match the clean, modern lines of our jewelry made by our Artisans around the globe while communicating our core values - and the King & Partners team instantly understood how to translate that into an artful, gorgeous website.